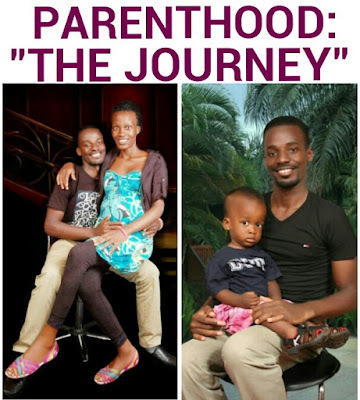 Grace Abaho Sr: PARENTHOOD; FATHERHOOD: "I DECIDED TO STEP UP TO MY PLATE"
PARENTHOOD; FATHERHOOD: "I DECIDED TO STEP UP TO MY PLATE"
commitment is no love at all: “in family there is Love”. For me, the love found in family has been encompassing, fulfilling and transformative. It is what turned me from a ‘boy’ to a ‘man’. I believe all men search for this kind of love. Yes, parenthood can drain and exhaust you but infuses you with a strength you didn’t know you had. The hallmark of immaturity is often times selfishness, but, with parenthood this veil is stripped off since there is more than one person involved. Marriage and family is the bedrock; the birth and foundation of adulthood: it rips you out of the cycle of self-involvement. A man needs a cause. An ideal. A mission that goes beyond himself. I think it’s very hard to grow as a man, to even become a man, without that. For instance, my mission as a father is: “I want to raise good children. I don’t want them to grow into people who will do anything so as to get what they want in Life”. As the iconic Nelson Mandela once remarked: “it is the significance that we have made in the lives of others that we determine the life we lead”. I am not perfect in this area but I am trying. We want our son to become intellectually well-informed and clever, conscientious and morally upright, sanely religious, strong and healthy, energetic and enterprising and cultivated in good taste and feeling.Amen~Grace Abaho, Sr.